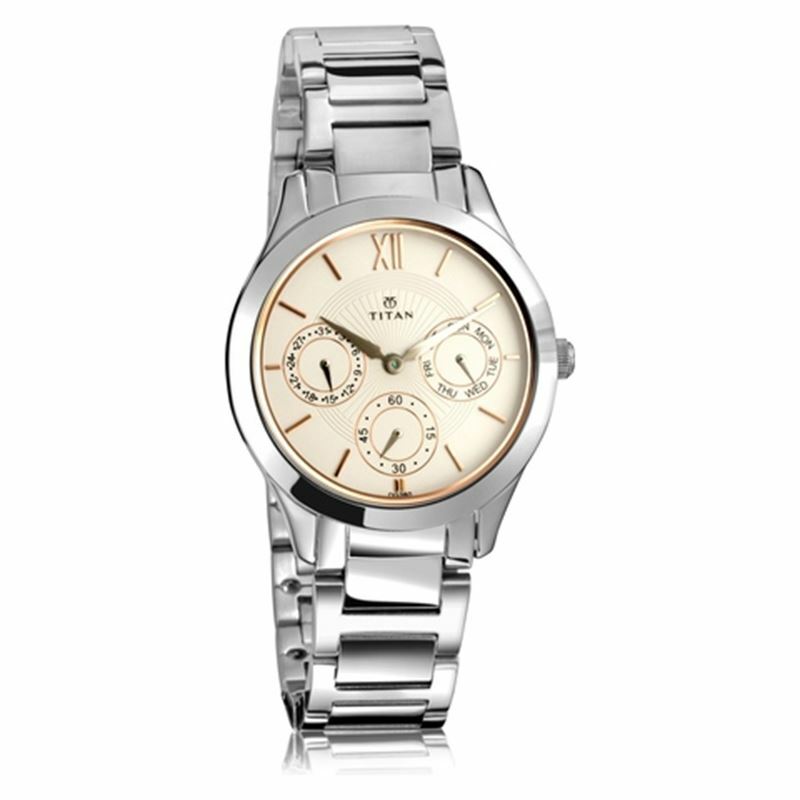 This white dial multifunction watch by Titan features a round metal case rigged to a silver coloured steel strap that has a push-button lock mechanism. There are three subdials within the main dial that harbours an elegant design with the hint of gold coloured hands and roman sticks that mark the hours. It's one of the best gears from the Neo Collection.